At 24 years of age, Helen is one of those amazing people who seems to have it all. She is bright, happily married, and is starting her own business. And she’s a gifted artist — a talent that seems to come naturally to her. And yet, there was a time when she felt like she couldn’t do anything. Sadly, when Helen was a child, her parents battled drug addiction. She and her younger brother were denied the loving attention that every child craves. Living in the shadow of her parents’ substance abuse, her early childhood was full of uncertainty and fear — she was shifted in and out of state foster care, separated from her baby brother, and struggling to understand what was going on. Helen was full of potential…but as is often true of children growing up in unstable, abusive, or neglectful homes, her potential was stifled by fear and a lack of encouragement. By Helen’s freshman year of high school, her family lost their home and her mom went to jail. When she was finally released, sadly, she relapsed. The family ended up living in a motel, struggling to make ends meet. On the night Helen was planning to end her life, a woman living in the motel reached out to her, feeling compelled to encourage her. The woman shared her own story with Helen and shared about God’s love, which was something Helen desperately needed to hear. It was just the nudge Helen needed to find the courage to keep going. Filled with hope, she chose to live her life to share God’s love, as well. She prayed that God would provide a safe place for her and her brother to live, and soon, Olive Crest learned about Helen’s situation. She and her brother were placed together with a loving family, giving her mother an opportunity to get support, as well. 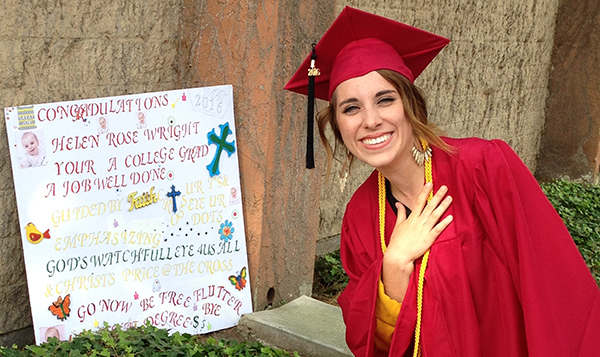 Helen had a lot to work through, but leaning on God, her Olive Crest family, and her new community, she graduated high school with a 3.9 GPA — after starting with a 0.5 GPA. Her artistic talent blossomed, bringing her acclaim within her school and community. 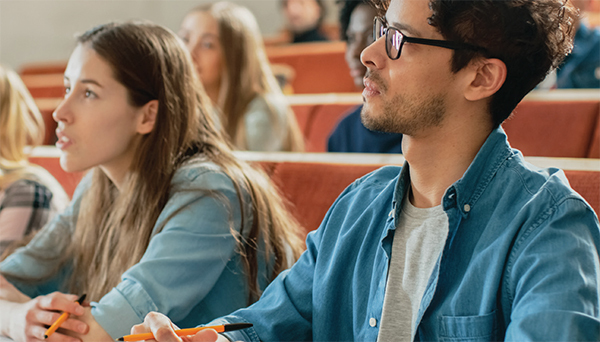 She earned an associate’s degree in child development from Saddleback College, and a bachelor’s degree in organizational leadership for Christian ministry from Simpson University. Today, Helen is married, and is launching a business selling products she designs and that benefit foster children. She is also a frequent speaker at schools, churches, and other community groups. Stories like this are only possible because of generous friends like you. Helen’s heart is beyond grateful for caring supporters who have reached out through Olive Crest to help impact and change the course of her life forever. 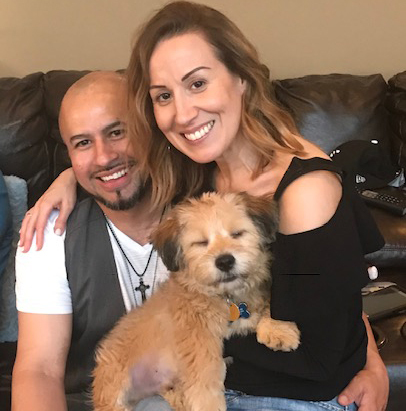 She says that when she was married in July of 2018, she “was surrounded by all the Safe Families that my brother and I lived with in high school and even in college.” This is her “forever family” that she will always treasure. Our West Sound office in the Pacific Northwest will soon launch a residential housing model for our Independent Living Services program. This transitional housing program will benefit young adults from 18 to 21, who are transitioning from the system to living independently. During their stay, they will build independent living skills, establish employment and educational goals, and work toward sustainability. The goal of the program is to help these young men and women develop the skills and achieve the income they need to live independently. We are deeply grateful for generous friends like you who are making it all possible! 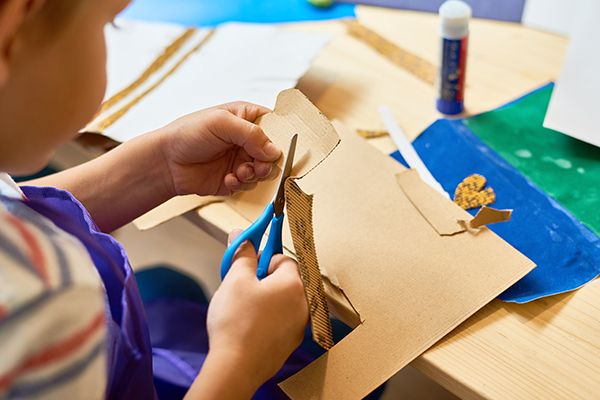 Crafts and other activities for kids at a Foster Parent Night Out event allowed foster parents an evening of respite support, thanks to Crossroads Bible Church and the National Charity League. If you are a foster parent, you know this truth: It’s incredibly rewarding…and incredibly hard. At Olive Crest, we know it’s not only important to care well for the children in our care, but also the families who are serving and sacrificing to help these precious children heal. Kids from abusive and traumatic backgrounds need so much, and it takes parents going well beyond the extra mile to build trust, instill new truths, and give consistent love to help children heal from the wounds already inflicted. One of our supporting churches in the Pacific Northwest, Crossroads Bible Church, understands this, as well. 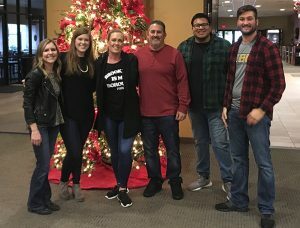 Recently, 42 foster children from Olive Crest families were hosted at the church for Foster Parent Night Out: a full evening of activities, including basketball, crafts, movie time, and dinner provided by the National Charity League. The moms and dads took that time to recharge at the movies, at home, or a dinner out to catch up on quality time together. We are so grateful for the generous community of churches and volunteers who support our Olive Crest families, so they can be the best possible parents to fragile and healing children. Make this Easter one to remember for children in need. Did you know some children have gone their whole lives without celebrating the joy of Easter? You can make a big difference for kids and families this spring by donating during our Easter basket drive for Olive Crest children and teens. We can only do it with the support of compassionate donors like you! Please drop off a pre-filled Easter basket (or baskets) at an Olive Crest location near you. 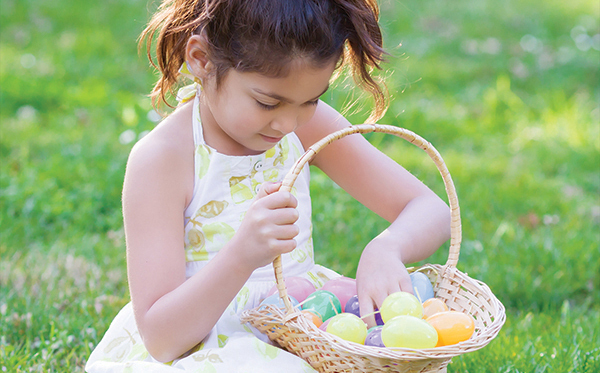 For a list of Easter basket themes and ideas, click here. For additional information, contact the Community Involvement department at 714.543.5437, x1290, or info@olivecrest.org. Find out more about the Los Angeles Easter basket drive here. For additional information, contact Nicholas King at nicholas-king@olivecrest.org or 562.977.6964. For more information, contact Laurel Henderson at laurel-henderson@olivecrest.org or 951.300.1189. 4285 North Rancho Drive, Suite 160, Las Vegas, NV 89130. For more information, contact Evelyn Kovacevich at evelyn-kovacevich@olivecrest.org or 702.835.1907. Easter baskets should be gender and age-specific, but could consist of items such as a coloring book and crayons, stickers, a small toy, a couple pieces of candy, bubbles, etc. For more information, please contact Susanna Kind at susanna-kind@olivecrest.org. How powerful is one teddy bear? 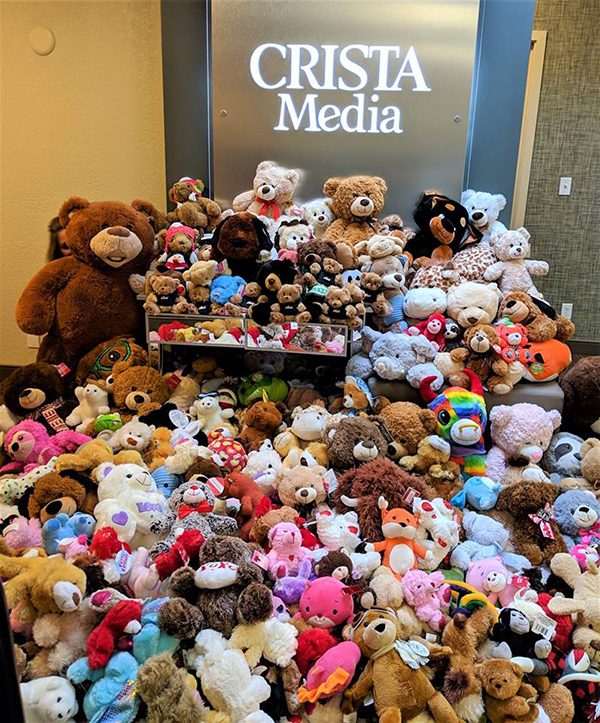 On Saturday, January 12, many people in the Pacific Northwest found out when the Tacoma Stars indoor soccer team partnered with Spirit 105.3 to have a teddy bear toss benefitting Olive Crest foster families. And the results were downright heartwarming! It all started when the Tacoma Stars first got involved with Olive Crest in December through Spirit 105.3 by hosting foster families in a club level suite and offering discounted tickets. Spirit 105.3 then offered to have a teddy bear toss at another game to support even more Olive Crest foster children. At this special game at the Accesso ShoWare Center in Kent, Washington, the audience purchased all of the teddy bears individually and brought them to toss at the game. After the first goal the Stars scored, fans threw teddy bears onto the field to be collected. Over 400 hundred bears were gifted! Thanks to this generous audience, Olive Crest foster children will have teddy bears to help comfort them in their foster homes. For Olive Crest foster children, something as small as a teddy bear can truly make a world of difference—especially for children just entering foster care for the first time. We can’t thank Spirit 105.3, the Tacoma Stars (and fans) enough for this thoughtful gesture! P.S. The Stars even won the game 8-5! Diana with her boyfriend, Jorge, and Nicko the dog. It took me 25 years to finally be able to really, really appreciate Olive Crest. I hated the structure, the well-balanced meals, the grading system that determined our rewards and consequences…most of all, I resented the staff. I blamed them for everything! lucky to even have a warm meal or meal at all. We didn’t come from a family or support group that motivated us to do better and rewarded us with a weekly allowance, or field trips. Most of us were ignored, rejected, and had to bring money home, rather than to expect our families to actually spend money on us. The answer is Olive Crest. Olive Crest instilled in me the things I would’ve never learned from my dysfunctional and broken background. From teaching me the simple things like how to set a dining room table, use a steak knife, have a balanced meal, say please and thank you, do my own laundry and prepare a meal. When we got in trouble or grounded, it was always followed by a reason and explanation of the mistake committed, the consequence and the lesson. Olive Crest showed me what the tradition of Christmas and gifts were, as I had never celebrated one when I arrived as a teenager. I remember experiencing my first baseball game, hockey game, and movie theater with Olive Crest, due to the donations they would receive. The best was when we were invited to attend Christian camp in Hume Lake, where I first realized believing in God and bonding with others was actually fun! I can never thank God enough for putting Olive Crest in my life. For creating such a strong, organized, powerful organization that consists of individuals that really do care and taught me so much, that I am able to apply it all to my adult life and successfully raise two children: my son, a sophomore at Northern Illinois University, and my daughter, a high school freshman. Thank you, Olive Crest, for making a difference in my life, making me the woman I am today. Countless Families were Blessed by Your Giving Over the Holidays! 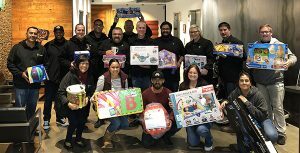 In Los Angeles, 47 families in our Adopt-a-Family program received day-to-day necessities as well as gifts they otherwise would not have been able to purchase. In the Desert and Inland Communities, generous donors like Agape Salon; Cypress Wealth Services; High Tower Advisors; Holstrom, Block & Parke; the Grove Church; and Monster Energy contributed to Be the Miracle. 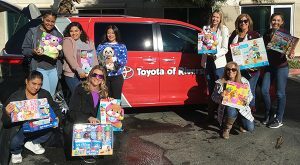 Plus, Toyota of Riverside, Hub International, and the City of Riverside went even further to bring joy by sponsoring specific families. Because of your compassion, Christmas was special for thousands of children and teens who need to know that someone cares, that they are important, and that their dreams matter. Thank you! Volunteers from Microsoft made all the difference for Olive Crest kids this past Christmas. 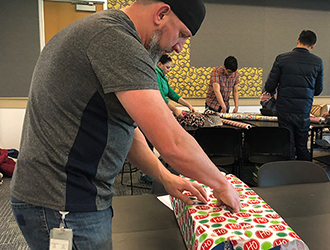 We’d like to send out a very special thank you to a group of Microsoft employees who wrapped more than 500 gifts for our Be the Miracle drive in the Pacific Northwest, provided a moving truck to transport all the donated presents, and donated more than 70 gifts for our foster kids, along with all of the wrapping paper and gift tags to make the presents look extra magical. 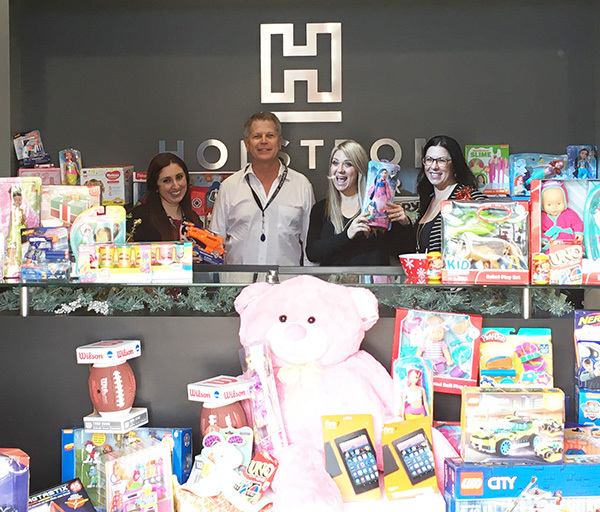 Microsoft employees enjoyed karaoke and a hot chocolate bar as they wrapped gifts for Olive Crest foster children. We couldn’t do what we do without the help of volunteers and donors like Microsoft…and you. Thank you! 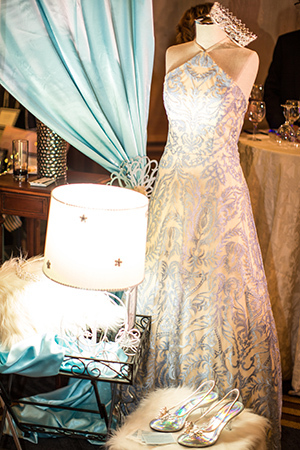 November’s Wine Women & Shoes event featured a “Rags to Riches” theme. Olive Crest’s fifth annual Wine Women & Shoes event was held on Friday, November 9, at the Fairmont Olympic Hotel. More than 300 guests attended and helped raise over $243,000 for Olive Crest’s foster care programs. The glamorous evening consisted of shopping at eight marketplace vendors, tasting wines from our wine partners, enjoying a fashion show, and bidding on silent and live auction packages. They also participated in our “Key to the Closet” raffle relating to this year’s “Rags to Riches” theme inspired by Cinderella. Thank you to all who made this event special and supported foster families throughout the Pacific Northwest. It’s Easy to Support Kids and Families! 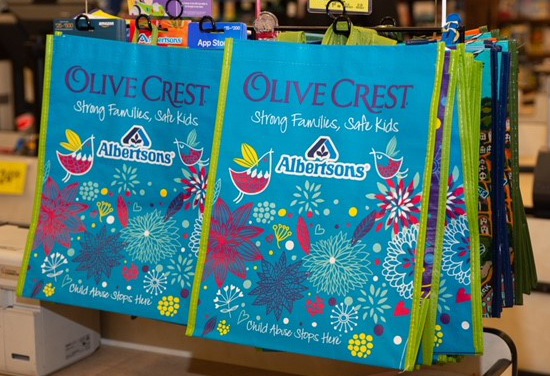 Here’s a great way to make your grocery shopping easier and support Olive Crest at the same time: Buy a reusable Olive Crest bag at your favorite store. The bags are now offered at Albertsons, Vons, Pavilions, Northgate Markets, Gelson’s, and Numero Uno — and 8 cents from each bag purchased is donated directly back to Olive Crest. It’s a great way to support Olive Crest’s work in your community. Look for the Olive Crest bags in your neighborhood store, and help us move toward our goal of ending the cycle of child abuse and neglect. What a Blessing for Our Olive Crest Boys! Sign up for email updates on how you're helping to transform lives. You can unsubscribe at any time.